Today we are continuing our chat with humanist minister Jeff Gruner. Tell us a funny or amazing story from a wedding you have conducted? In the middle of a ceremony on the beach, with my back to the ocean and the couple and their guests facing me, I became aware of giggling and craning of necks. I turned to discover a naked lady clutching an inflatable striding purposefully to the water. It was a bit of a show stopper. What three things should couples consider when it comes to choosing the right minister for them? There is an old actors’ saying, ‘just remember the lines and don’t bump into the furniture’. In other words, the minister should not get in the way but let the couple and friends and family stamp their personalities on the special day. 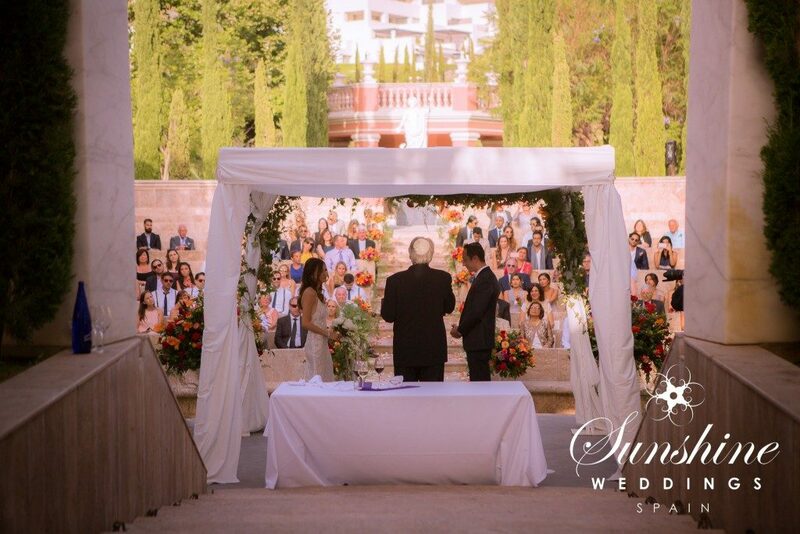 Why do you think having a wedding in Spain is so special? This one is easy! Spain is a glorious country for a wedding, with guaranteed sunshine and superb venues. 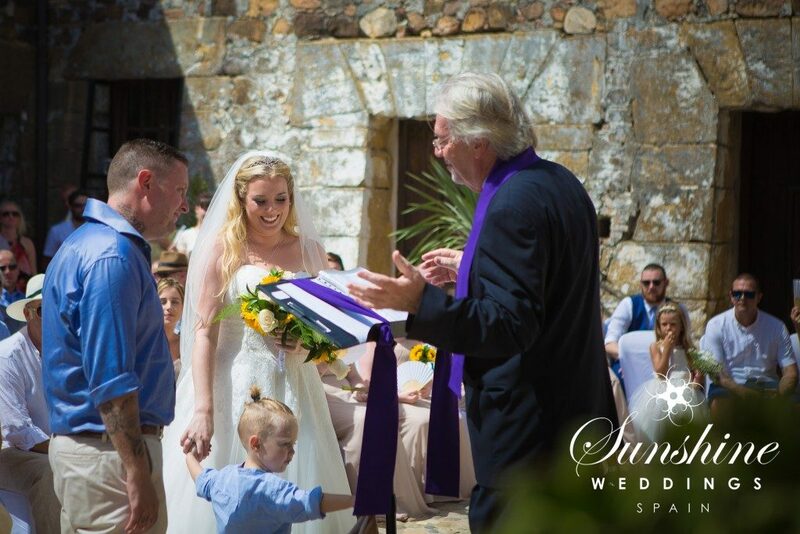 Scott at Sunshine Weddings Spain is a friendly professional wedding planner with a back-up team I am privileged and proud to be a part of. Music is my passion, particularly jazz – I listen and play whenever I have free time. One of my musical highlights was in Ronnie Scott’s Jazz Club in London a long time ago listening to Freddie Hubbard on trumpet when Count Basie’s band wandered in late at night for a jam session. WOW! If you hadn’t chosen to be a minister, what job would you love to do? To play the drums like Buddy Rich.